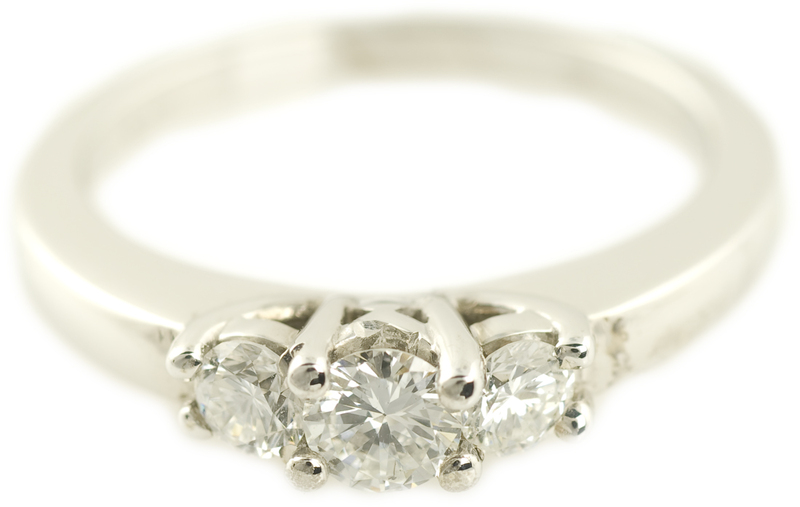 This elegant engagement ring features a five-stone design, with three sparkling round brilliant diamonds, and a tapered baguette diamond on either side. 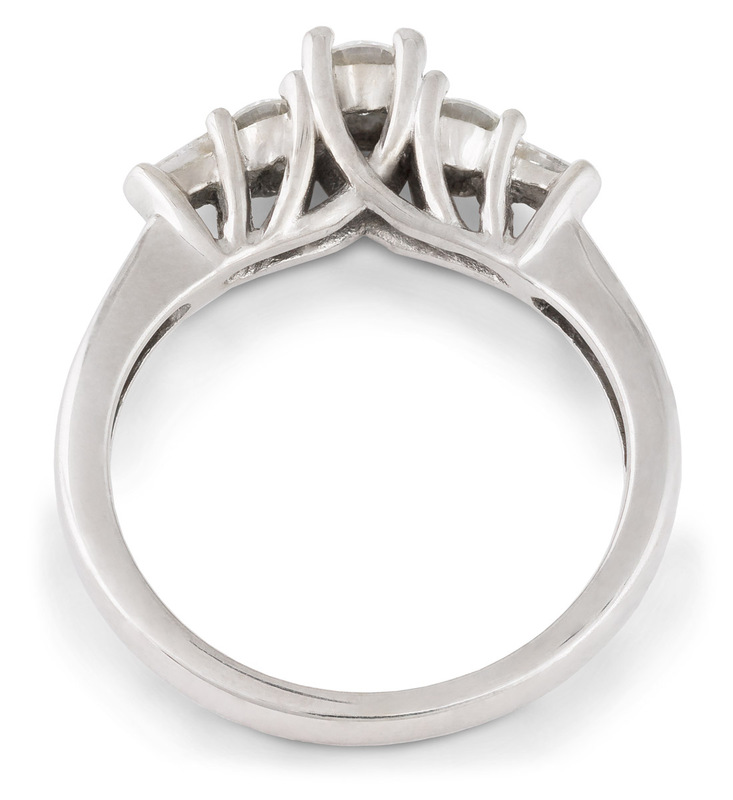 There is an openwork pattern beneath the mounting, supporting the stones with sweeping lines. 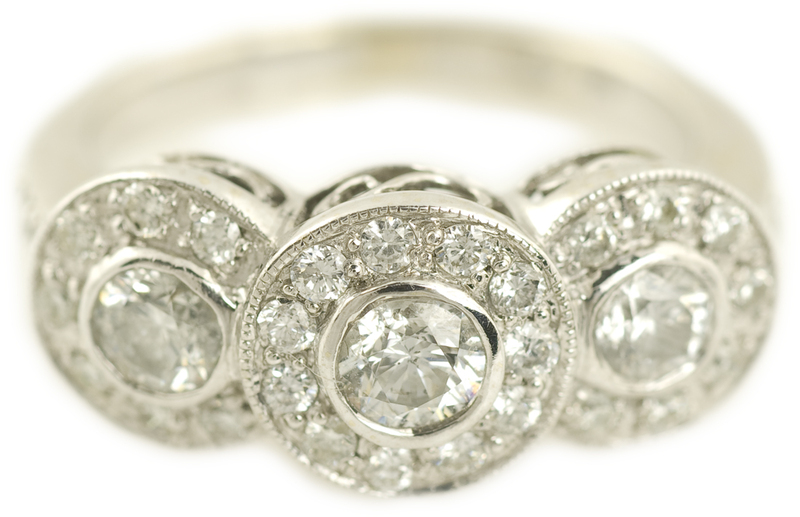 A beautiful and understated engagement ring option.